Firesleeve with hook & loop fastener is made by taking firesleeve and adding a hook & loop closure. 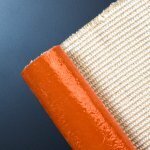 The hook & loop and thread can be standard polyester, or high temperature nomex. 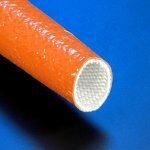 Other high-temperature threads include fiberglass or inconel. Firesleeve has a limitation in that it must be slid over the hose or cable it is protecting. This may be a problem if the hose or cable is already installed and cannot be removed from the machine or equipment. 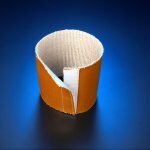 The solution to this problem is a firesleeve with a hook & loop fastener closure manufactured into the sleeve. 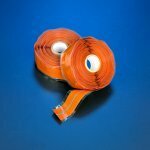 This allows the firesleeve to be installed on hoses, cables or lines without disassembly. In heavy use areas, the firesleeve with hook & loop fastener can be removed and a new one installed periodically. 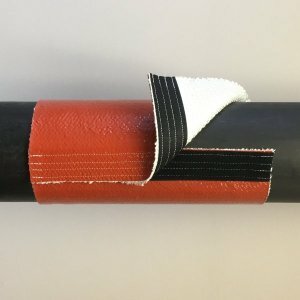 Using a firesleeve with hook & loop fastener also allows for easy inspection of the protected hose or cable as necessary. In heavy industries such as steelmaking, firesleeve with hook & loop fastener is used as an electric arc furnace cable cover (EAF cable cover). Cable and hose bundling is a job made easy using firesleeve with hook & loop fastener. Firesleeve with hook & loop fastener can be made in sizes from 3/4" I.D. through 12" I.D. with the fabric as a single piece. 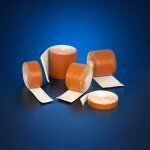 For larger sizes (for use on large diameter piping or process equipment), the sleeve can be fabricated in almost unlimited sizes by joining multiple fabric rolls together during manufacturing. For 3/4" I.D. through 4" I.D., a 3/4 inch wide hook & loop is used. On larger diameter sleeve a 1" or 2" wide hook & loop fastener closure is used.